Using APKPure App to upgrade Ice Candy -Gif Emoji Keyboard, fast, free and save your internet data. Ice Candy Emoji theme is the best beautiful theme in the world. Ice Candy Emoji Theme make your keyboard beautiful and make your life colorful. Ice Candy Emoji Theme make your friend admire and be jealous. EMOJI GIF EMOTICONS KEYBOARD chatting Emoji-Gif is one smart keyboard app for android devices that makes typing fast, easy and fun. It saves your memory space, makes your keyboard use smooth and funny. EMOJI GIF EMOTICONS KEYBOARD armed Emoji,Emoticons and Smileys and other cool symbols now include many useful, common, and interesting symbols, and will update for more symbols. You can use directly insert it into SMS, whatsapp，facebook，twitter and other social net working. EMOJI GIF EMOTICONS KEYBOARD make your keyboard owned sensitive hand, mobile face, intelligent eyes, finely made bodies and other all kinds of expressive emoji symbols to chat with your friends and family. After downloading the EMOJI GIF EMOTICONS KEYBOARD, you will be surprised to find Emoji Keyboard is just what you want. EMOJI GIF EMOTICONS KEYBOARD is free of charge and advertisement, supporting the input of Emoji, Emoticons and Gifs animation. It is intelligent, interesting, fast and convenient, with more than 3,000 Emoji expressions and emoticons facial expressions. It supports sliding input, memory input, automatic correction of languages of over 60 countries. 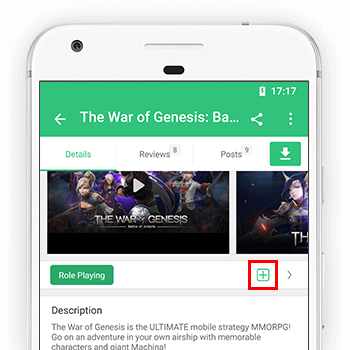 If you also like playing mobile games, and sharing happiness while playing, or you also like chatting and sharing with your friends on social contact platforms. We believe EMOJI GIF EMOTICONS KEYBOARD will bring you unexpected surprise, for it enables you to input all kinds of Emoji, Emoticons, Gifs animation, and Cool symbols, quickly and with ease. If this input method does bring much convenience to your life, we expect comments from you, because your support can drive us to march on. Want to help in our localization efforts and please contact with bingo.qing@gmail.com. Thanks!